The Museum of Modern Art and the Phillips Collection, in collaboration with the Schomburg Center for Research in Black Culture, present One-Way Ticket: Jacob Lawrence’s Migration Series and Other Visions of the Great Movement North, which situates Lawrence’s landmark series in relation to other contemporaneous accounts of the Great Migration in a broad variety of media, including paintings, drawings, prints, photographs, novels, poems, music, journalistic and sociological texts, and graphic illustration. 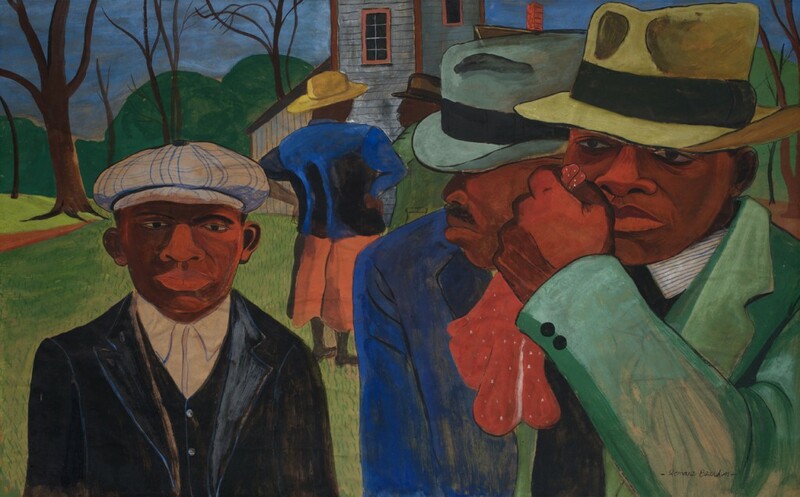 The exhibition includes Romare Bearden’s After Church (1941), recently acquired by the Terra Foundation, depicting black southerners who stayed in the South rather than moving north and providing an enlightening counterpoint to the theme of the Great Migration. The exhibition is on view April 3– September 7, 2015.